Stormproof matches are windproof, and waterproof. These matches are easy to light, and will stay lit for up to 15 seconds, even after being submersed in water! Being able to reliably make a fire is vital for cooking, generating warmth, and in survival situations, making signal fires. 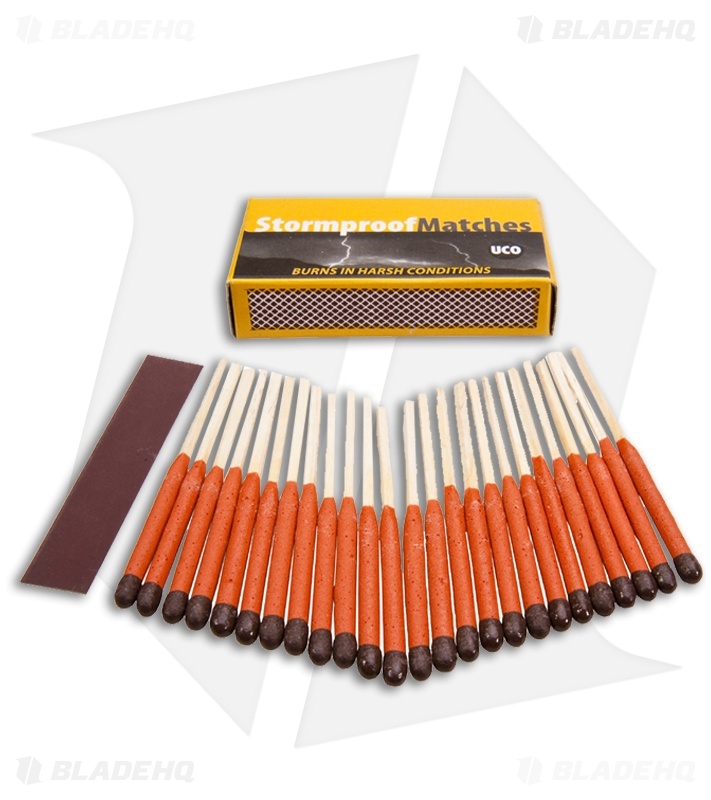 Stormproof Matches are perfect for camping and emergency kits.